M. Baldi, E. Gambi, S. Spinsante, “Delivery of Academic Lectures through DVB-T and MHP Applications”, IEEE Broadcast Technology Society Newsletter, Vol. 17, No. 1, Spring 2009, pp. 24 – 25, ISSN: 1067-490x. 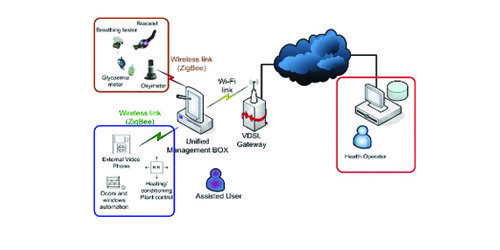 S. Spinsante, E. Gambi, “Integrated Multimedia and Sensor Data Management in Heterogeneous Home Networks,” Journal of Communications Software and Systems, Vol. 6, No. 3, 2010, ISSN: 1845-6421. S. Spinsante, E. Gambi, “ Personalized Services over the iTV Platform through Non-conditional Smart Card Technology,” Journal of Communication and Computer, 2012, Vol. 9, pp.106-112, ISSN:1548-7709. 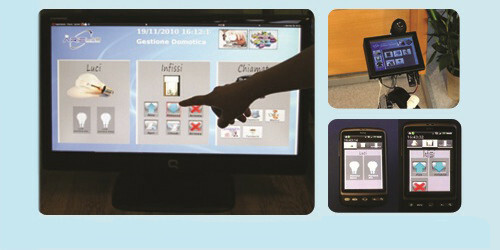 S. Spinsante, E. Gambi, “Remote health monitoring for elderly through interactive television,” accepted for publication in Biomedical Engineering Online Journal, July 2012, ISSN: 1475-925X. G. Rascioni, S. Spinsante, E. Gambi, D. Falcone, “DTT technology for rural communities alerting,” Proc. 5th International Conference on Information Systems for Crisis Response and Management ISCRAM 2008, Washington DC USA, May 4 – 7, 2008, ISBN: 978-0-615-20697-4. E. Gambi, G. Rascioni, S. Spinsante, “DVB-T Broadcasting of SMS and MMS Data: the Emergency Management Case Study,” Proc. of IASTED Int. Conf. on Internet and Multimedia Systems and Applications, AfricaIMSA 2010, March 15 – 17, 2010, Sharm El Sheikh, Egypt. E. Gambi, S. Spinsante, “A UNIFIED PLATFORM FOR REMOTE HEALTH SERVICES DELIVERY AND ASSISTED HOME LIVING,” 1° Forum Italiano “Ambient Assisted Living”, 10 – 11 settembre 2009, Lecce (Italy). 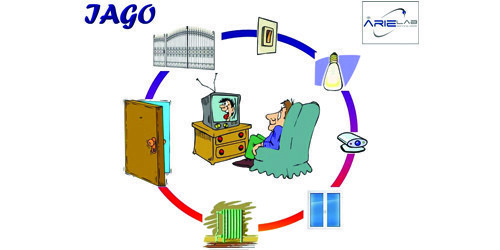 E. Gambi, S. Spinsante, “Multi-Camera Localization and Tracking for Ambient Assisted Living Applications,” Proc. of AALiance on Ageing Well Conference, 10-12 March 2010, Malaga, Spain. E. Gambi, S. Spinsante, “A Multi-Camera Monitoring System for AAL Applications,” 2° Forum Italiano “Ambient Assisted Living”, 6-8 Ottobre 2010, Trento (Italy). E. Gambi, S. Spinsante, “Video based movement analysis for automated Get Up And Go test”, YR-RISE, 3rd Young Reasearchers’ & PhD Workshop, AAL Forum 2011, 26th-28th September, Lecce, Italy.